Welcome to the five hundred and fifty-seventh of my blog interviews with novelists, poets, short story authors, biographers, agents, publishers and more. Today’s is with Christian author and playwright Joy Vassal. A list of interviewees (blogged and scheduled) can be found here. If you like what you read, please do go and investigate further. Morgen: Hello, Joy. Please tell us something about yourself, where you’re based, and how you came to be a writer. Joy: Hello. 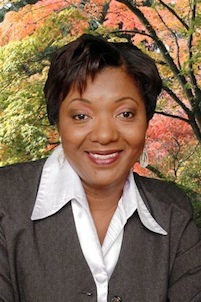 I’m Joy Vassal, residing in Toronto, Canada. I started writing when I accepted Jesus in my heart. Often times, I read the bible and would come up with an encouraging word to say to the people on a weekly basic. Such discipline of writing frequently inspired and maximised my potential to write articles and sermons, and now books. Morgen: You write non-fiction mainly, how do you decide what to write about? Joy: I write by inspiration and in so doing I find it to be impactful. No matter what, we are people who love to be empowered or we do crave a word of encouragement sometimes in our life. Morgen: We certainly do. Feedback is so important in writing and other aspects of our lives; it’s how we develop. What have you had published to-date? Do you write under a pseudonym? Joy: I published two books, namely, ‘Turn to the Lord and be Saved’ and ‘Demons Are Real’. I have 2 finished manuscripts and am currently working on a prayer manuscript. I’m also a prolific playwright; I wrote and produced The Old Man and the New Man. It was an educative and insightful episode that cut across cultural lines, and which was developed for television in 1999. I also produced two other plays, Gloria Suffering and The King Is Coming. I considered writing under a pseudonym. Morgen: You’ve self-published, what lead to you going your own way? Joy: I was self-published but I figured more or less that I will have to do everything possible to get the word out there. Morgen: It is the way a lot of people are going these days, myself included. Are your books available as eBooks? Do you read eBooks or is it paper all the way? Joy: I do not think so; I believe it is paperback. Morgen: Of all the 556 interviews before this one I think I can count on one hand the people who said they don’t read paper books anymore. Almost all have said they love the feel of the book too much. It’s great having the choice though. Did you choose the titles / covers of your books? Joy: When I self-published I made all the decisions but when I changed from self-published, the decision was made by the publisher. Morgen: It does tend to be taken out of our hands but then we have to hope that the publisher knows what it’s doing. What are you working on at the moment / next? Joy: I am working on a prayer manuscript. Morgen: You said earlier “discipline of writing frequently”, do you manage to write every day? Joy: I am always writing and I take pleasure doing so. Morgen: Me too. I say there’s nothing quite like it. Do you do a lot of editing or do you find that as time goes on your writing is more fully-formed? Joy: When, I started out initially I used to do a lot of editing but not now my writing is more fully-formed. Morgen: It’s all about practice, isn’t it. If we play the piano every day, even just for twenty minutes (300 words) we’ll be vastly improved within a year (100,000 words). Do you have to do much research? Joy: Sometimes, I do much research. Morgen: Do you pitch for submissions? Joy: I do pitch for submission, yes. Joy: I have had many rejections and I was very disappointed but I kept on trying. Morgen: That’s the best way to handle it. Invariably it’s just the right thing for the wrong person. Do you have an agent? Do you think they’re vital to an author’s success? Joy: I do not have one; I believe that they can play vital role in the author’s success. Morgen: I tend to agree; they would likely have the contacts we don’t. How much of the marketing do you do for your published works or indeed for yourself as a ‘brand’? Joy: This is where I am falling short all the time because I find it very difficult marketing my work. Morgen: Marketing is usually the answer to the ‘least favourite’ aspect of my next question, invariably because it’s so time-consuming. What’s your favourite / least favourite aspect of your writing life? Joy: Completing the project is my favourite aspect of my writing life. The least favourite is getting that work into the hands of people. Morgen: Yes, that is hard. We’re lucky that we have so many sites such as Facebook and Twitter but the easiest way to put someone off it to tout your wares (and some people do nothing but that on Twitter and wonder why they get defollowed). What advice would you give aspiring writers? Joy: Writing is an art, so be determined and proceed to write. It will all come together one day as you work on it diligently. Morgen: It will and you’ll (hopefully) love it. If you could invite three people from any era to dinner, who would you choose and what would you cook (or hide the takeaway containers)? Joy: I would invite my mother and two beautiful daughters. I would bake garlic chicken, baked potatoes, steamed broccoli and carrot. Morgen: That sounds lovely. A girls’ get together. 🙂 Is there a word, phrase or quote you like? Joy: Nothing is impossible to them who believe. Morgen: I like that. What do you do when you’re not writing? Joy: I am the leader of a newly launched Ministry, “God’s House Of Prayer” so I am busy planning programs for weekly services and monthly events. I love singing and cooking. I also write for Miles magazine, Canada’s first Christian magazine covering current events, issues and testimonials worldwide. Joy: I found Scribd to be a good writing website. Morgen: I’ve not been on it myself but I should as I have heard good things about it. What do you think the future holds for a writer? Joy: There is a bright future for writers, especially those who know how to network. Morgen: We have to try at everything don’t we. I’ve met some wonderful people (writers and readers) since I started this blog (here, Facebook, Twitter, LinkedIn etc) and I’m so grateful I’m a writer in this day and age. Where can we find out about you and your writing? Joy: Where do we go from here? Morgen: The interviews are one-offs but I do have other options: a one-off spotlight, guest blog, fiction, poetry… plenty of choice. Thank you, Joy. 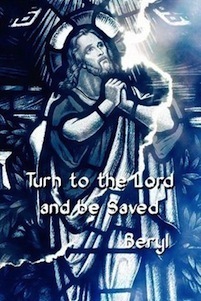 Turn To The Lord And Be Saved is an inspirational masterpiece brought about by the experience Mary Magdalene had with Christ Jesus at the Lord’s sepulchre. Encumbered with the complexity of death of Jesus and the disappearance of his buried body, Mary could not recognize or hear the voice of Jesus. Turn Around and See the Lord has spiritual nuggets and revelation knowledge to uplift, comfort strengthen and edify the reader regardless of the emotional discomfort, stress, poverty, famine, disappointment and all the diverse temptations one may face. These hardships, she believes, are inflicted upon some individuals because of their disobedience, stubbornness, unbelief and lack of simple trust in Jehovah God. Jesus called Mary by name and there was a positive change, she turned around and saw the Lord, and ran to tell others about the resurrected Lord. The author has put together more than twenty renowned biblical characters and her personal-life testimony to address some of the challenges our generation is facing. She has carefully tailored the weaknesses and strengths of these individuals and how they turned to the Lord and became extraordinary people with exemplary works and successes. Turn around and see the Lord in your situation, for surely He will do the same for you. Demons are Real is an inspirational book on the phenomenon of the demonic forces of darkness. Demons are Real and are neither a myth nor figment of our imagination. The word demons itself is not found in the bible. What is found in the Bible is reference to evil spirits or devils. Demons come from the Latin word daemon( meaning evil spirit) and the Greek word daimon (a divinity). Who are demons? Demons are disembodied spirits that cannot be seen with the natural eyes or with aid of microscope. Demons are fallen angels serving the devil and making assaults on mankind. Demons are real and their existence pervades the Bible from the Old Testament to the New Testament; these entities are rampant in the 21st century church era. We do not wrestle against flesh and blood, but against principalities, against powers, against rulers of this world, against spiritual wickedness in high places. Healing is the Greek word “Idamai”, which means to cure, to restore or to heal. Healing is the Children’s Bread is an uplifting, inspirational, spiritual nugget to bring the believer to another dimension of trust in Jehovah- Rapha, the Balm in Gilead to heal and deliver mankind of spiritual, emotional and physical encumbrances! Healing is a topic of vast interest to the believer and the unbeliever and it is a subject that has drawn my interest to delve into and research Scriptures from the Old Testament to the New Testament. Healing is the Children’s Bread is an inspirational manuscript comprising of the promises of God and diverse, uplifting testimonies to encourage those who are afflicted in areas of their lives. Enjoyed the comparison between playing the piano and writing! Thank you very much, Jenny. I’ll let Joy know you stopped by. I really enjoyed reading the interview. It ws nice meeting another author who loves to sing.